MANILA - (UPDATED) A magnitude 5.4 quake rattled the island province of Bohol on Thursday morning, the Philippine Institute of Volcanology and Seismology (Phivolcs) said. 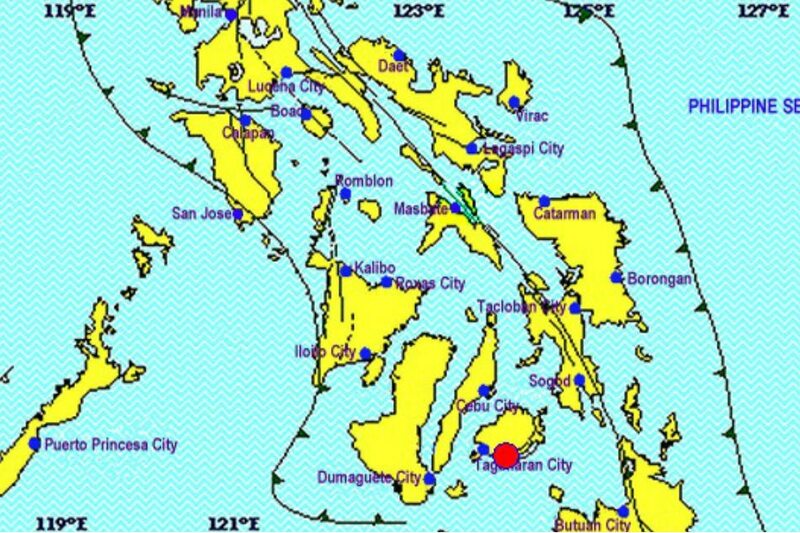 Phivolcs, in its 9:18 a.m. advisory, said the tectonic quake was monitored at 8:43 a.m., some 2 kilometers east off the town of Lila. It was 521 kilometers deep. No aftershocks or damage is expected. Phivolcs has yet to report on the intensities felt in the nearby areas.